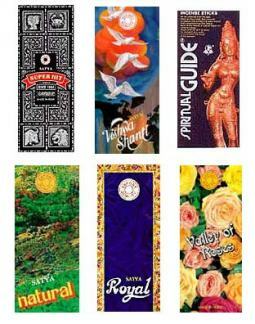 Nag Champa Incense from India is now available in many different sizes and prices. Nag Champa is one of the most popular brands of incense in the world. 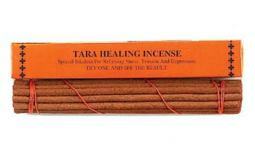 Indeed, for many people, when they think of incense, they think of Nag Champa Incense. It is a hand-rolled blend of flowers, spices, and resins, and each stick burns for about 30 minutes. We invite you to find out why it is the most popular Indian incense in the world. Now available in 8 Gram Boxes, 40 Gram Boxes, 100 Gram Boxes, 500 Gram Boxes, and the One Kilo Box (that's a thousand grams, don't you know!) 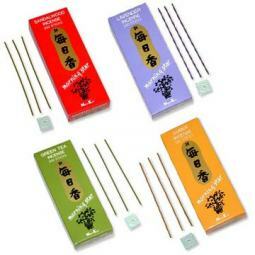 Nag Champa is a good incense for those who are looking for a more fragrant stick incense. It is a little bit smokey, because like most traditional Indian incense, it has a bamboo stick in the middle, which gives off a little bit of smoke. If you are looking for a low-smoke incense, then we suggest you try our very popular selection of morning star incense instead. But if you are not bothered by a little bit of smoke, then we suggest you try this wonderful incense and see why it is the preferred incense of millions of people around the world. Nag Champa also produces a line of soap. To find out more about Nag Champa Soap, please click on the link for Nag Champa soap in the Bed and Bath department. Please note that stick incense is commonly called dhoop or toop in Hindi or Thai languages.